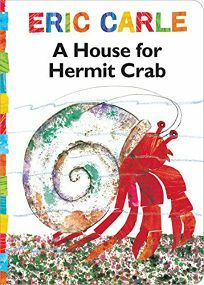 Just right for a board book, Eric Carle's A House for Hermit Crab takes his tale of a crustacean in search of a new shell home to youngest readers. PW wrote, ""Carle's underwater neighborhood is snug, dynamic and full of possibilities."" .